You’ve never had oven baked chicken breast like this before. Super crunchy, crispy, juicy, full of flavor, and EASY to make, this is a MUST try recipe, and one of those fabulously easy chicken breast recipes with few ingredients. 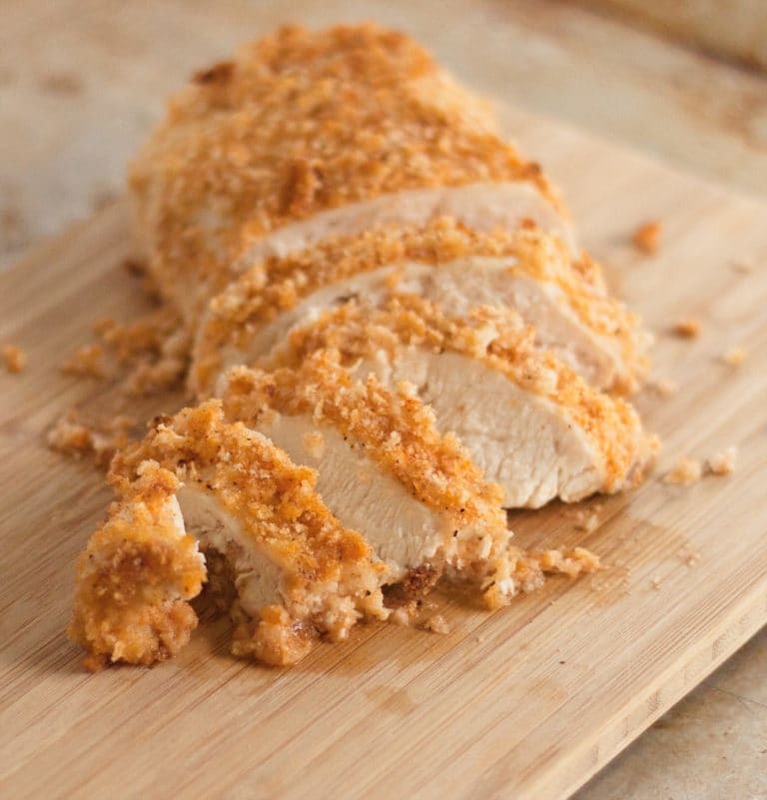 A super easy oven baked chicken breast recipe that is crispy, crunchy, and flavorful without frying. Use a spatula to cover all sides of the chicken breasts with a light coating of mayonnaise. Make the panko with the paprika, garlic powder, salt, pepper, and cajun seasoning. Dredge the mayonnaise coated chicken in the panko mix, pressing the panko mix into the chicken. Spray baking pan with cooking spray and place the coated chicken in the pan. Spray the top of the chicken with cooking spray. Bake for 25 min. Serve. 0 Response to "crispy oven baked chicken breasts"